Dinner begins with shrimp and avocado with potato salad on lettuce leaves served with sweet potato as an appetiser. For the main course, choose between Australian rib-eye steak in garlic oil or saffron teriyaki salmon wheels, both served with a side of asparagus, sliced almonds, parmesan cheese, sweet potato crisps and a three-kind potato wheel. 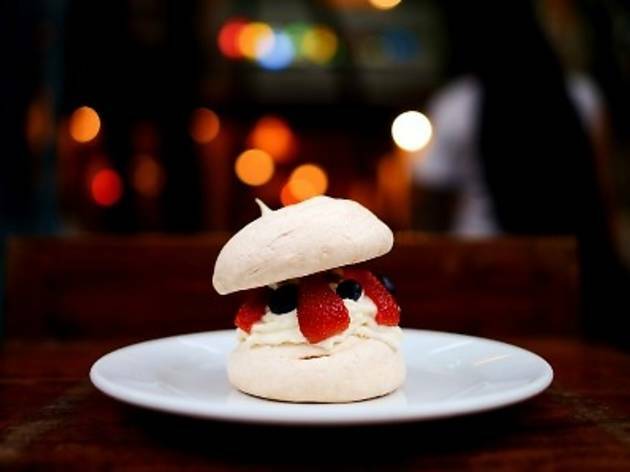 Finish off with a tiramisu or Berry Pav-love-ah. Enjoy dinner with two shots and lines on a mirror at RM30 nett or get a glass of wine at 20 percent off.